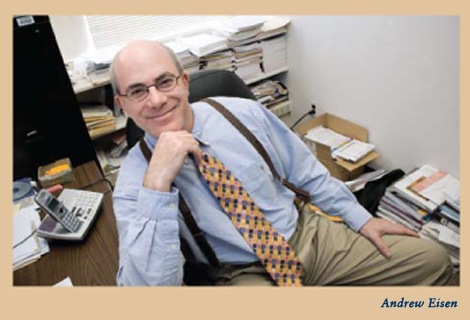 Andrew Eisen is a professor in FDU’s School of Psychology and directs the University’s Child Anxiety Disorders Clinic. A licensed psychologist in both New York and New Jersey, he has become a nationally renowned expert in child anxiety and was recently profiled in a New York Times feature by parenting columnist Michael Winerip. In addition, Eisen has focused on related problems such as Attention Deficit Hyperactivity Disorder (ADHD), learning disabilities and Asperger’s Syndrome. He has written numerous articles and chapters and has co-authored or co-edited seven books including Helping Your Socially Vulnerable Child: What To Do When Your Child Is Shy, Socially Anxious, Withdrawn or Bullied; Treating Childhood Behavioral and Emotional Problems: A Step-by-Step Evidence-Based Approach; and Helping Your Child Overcome Separation Anxiety or School Refusal: A Step-by-Step Guide for Parents. Eisen received his PhD in clinical psychology from the University at Albany, State University of New York. During graduate school, he was involved in research at the university’s Center for Stress and Anxiety Disorders and became inspired to help anxious youth live more productive lives. For more information about Eisen and his work, contact him at eisen@fdu.edu. For more information about Fairleigh Dickinson University’s Child Anxiety Disorders Clinic (CADC) and its programs, go to http://alpha.fdu.edu/ucoll/ps/anxiety.html.